Thadd+Friends: We have Reds versus Red Sox tickets! We have Reds versus Red Sox tickets! 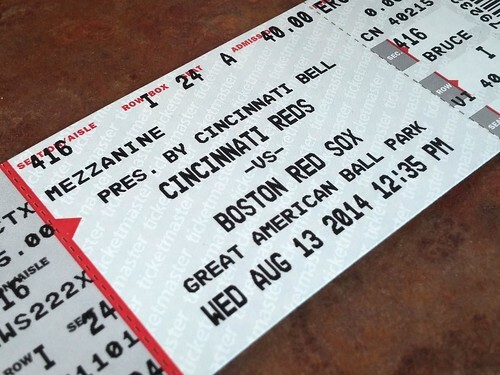 Our tickets for the second game of the Reds vs. Red Sox series in August arrived today!